The link below holds a great article detailing the benefits of drinking coffee, from energy to nutrition to our health. We are for REMAIN in the EU referendum. We believe that Brexit will mean serious harm to the UK’s economy, and cut us off from our European customers. We urge all our members to join us in campaigning for Remain. 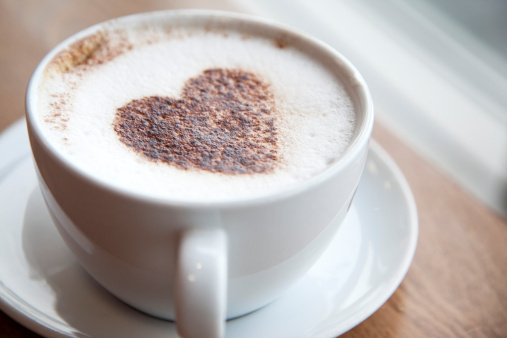 We all know that drinking coffee has many benefits, including getting us out of bed on those dreary Monday mornings and giving us that extra push to get through the day however, and recent research has revealed that two cups of this miracle beverage can not only brighten our day but even improve our love lives! The Daily Telegraph has recently reported that in a study of over 4,000 applicants 42% of male coffee drinkers were less likely to suffer erectile dysfunction if they were to drink 2 cups a day. This seemingly was the sweet spot as more or less than this showed less favourable results. Caffeine was shown to stimulate the female Libido. However the effect may be short lived to non-existent to women who drink coffee on a regular basis. The link below holds a great article detailing the effects of coffee for the more athletic of you out there; it poses a balanced argument for the use of coffee detailing a common sense trial and error approach to finding the exact level of caffeine required for you to perform at your peak. What works for some may not for others. I couldn’t say the exact caffeine I consume but the effects on me are clear from a physiological perspective. I consume 3 coffees at routine times during the day to function my best stopping at 2pm to allow the effects to calm down towards the evening. When playing Tennis I do notice a performance boost especially with my concentration levels, this often turns poor tennis mediocre. Do you regulate your caffeine intake or have an understanding of the amount required to perform at your best psychologically or physically? Is Caffeine the cure to Britain’s productivity Problem? 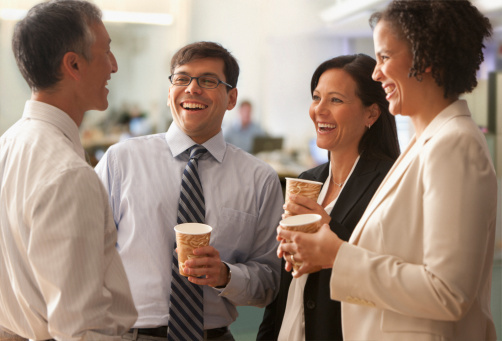 According to new research, your business should be encouraging coffee breaks! Data collated by MessageBase found a wide range of surprising facts about our office habits including when you are at your most productive. They found that around 25% of the entire output of an eight hour day is achieved between 10am and 12pm. A further increase in productivity can be seen straight after a coffee break with the most productive hour being between 11am and 12pm which could account to 13.5% of the entire days output! In conclusion the pre-lunch part of the day is where we are most productive. In other areas of the study they find that biscuits could potential sway the outcome of a business deal with a prospective client; most preferring shortbread over a pink wafer, we find that having biscuits available can only be a good thing. Apparently smelly food should be avoided and inconsiderately helping yourself to coffee without offering is a red flag to your colleagues. So our advice to keep you in good stead with the office and to give the business a sharp productivity spike make everyone a coffee! “The following article appeared in yesterday’s Daily Gleaner in Jamaica. 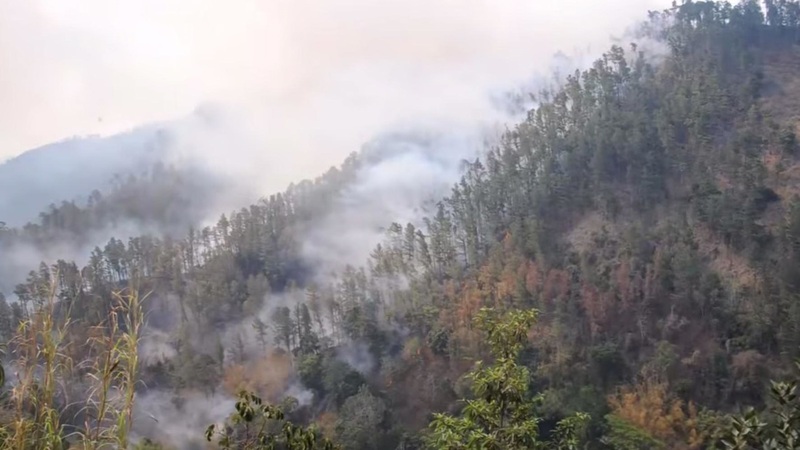 Fires have destroyed a not insignificant amount of low grown young green JBM coffee destined for the next crop. This will probably mean that next year’s crop will be as short as this year’s crop has proven to be. Our forward shipments covering the current crop have not, most fortunately, been affected but we’re technically fully forward sold but any of you who have reservations, confirmed orders and/or contracts with us will be receiving your coffee unless some untoward catastrophe strikes meanwhile – which we’re not in any way predicting. However, the situation in Jamaica remains grave with cherry box prices having increased by 300 percent over this crop year – that’s the least of it as yields from the cherries of exportable green coffee have reduced over the same period from 60% to 40%, compounding the problem. We will keep you informed”. As you may have noticed, England has fairly horrible weather, as recently demonstrated by the flooding that is currently affecting parts of the UK. Although it is a prominent feature of the news, one area that has mostly been overlooked is the damage and disaster caused to the farming community. During the last few years, whenever there has been flooding, it is often the framers who take the worst of the damage. The flooding destroys massive areas of farmland and crops, whilst the rain and water make it extremely difficult for livestock farmers to prepare hay and silage for winter, as they are forced to either rent grazing land at high cost or sell their animals to slaughter. All of this results in heavy costs and months of clean up for farmers in affected areas. Fellow farmers are doing their best to help, with those from Yorkshire donating 15 tons of hay, silage and straw to Somerset to be delivered by two tractors to show their support in hard times, although even this may not be enough to help, as many businesses may have to close due to an estimated £10 million in total damages across the area. 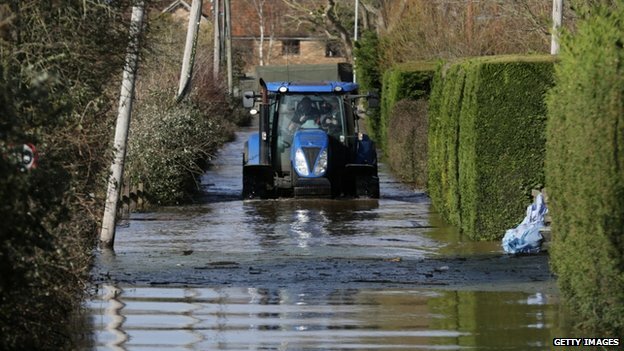 To donate to help farmers hit by the floods go to fcn.org.uk or call the hotline on 0845 367 9990. Finally the Royal Bath and West Society set up The Somerset Levels Relief Fund in September 2013 with the express aim of raising funds towards dredging in the local area. Visit them at http://www.bathandwest.com/somerset-levels/258/ alternatively at https://www.justgiving.com/Somerset-Levels-Relief-Fund or even phone them at 01749 822200 to find out more and donate.